I recently set my sights on Max Fisher over at VOX for stoking religious and racial tensions with his piece on three murdered ‘Muslims’. Not to mention his completely unfounded claims that Craig Hicks ‘expressed a paranoid hatred of religion’. Where did he express this? When? Since publication, it turns out that one of the three murdered Muslims was actually a Christian and the police have also ruled out the possibility of a hate crime. I’ve yet to hear a response from Max Fisher or VOX about this, or learn of a correction being made to the false information they are currently spreading. Even as a staunch critic of Islam, I think it’s irresponsible and foolish to assume everything a Muslim does is because they are a Muslim. Likewise, I would hope that others are also able to understand that not everything that happens to a Muslim is because they are a Muslim either. I’d rather wait on the facts than blow a trumpet in a concerto of uniformed noise. I’ve become increasingly disillusioned with this particular brand of online ‘journalism’ over the last few years. It seems that some (rather successfully too) think it’s a good idea to treat issues of politics and human rights with the same level of diligence required to produce celebrity tell-tale tat. An ‘unnamed source said’ or an ‘insider told us’. You get the idea. Transparent, agenda driven smear pieces – for the clicks. 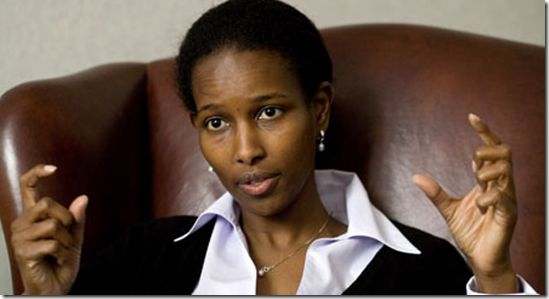 This brings me to another wildly dishonest (and dangerous) smear piece on Ayaan Hirsi Ali and Muslim reformers courtesy of VOX again, titled ‘The Ayaan Hirsi Ali problem: why do anti-Islam Muslims keep getting promoted as “experts”?’ This effort is by someone called Wardah Khalid, who fails to mention their conflict of interests via associations with organisation dedicated to opposing Muslim reformers. The bias and desperation is palpable. 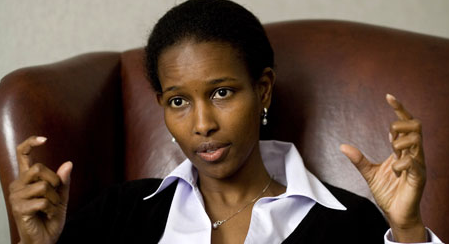 The lie is repeated yet again that Ayaan Hirsi Ali was sympathetic towards the actions of mass-murder Anders Breivik. She wasn’t of course. I’d decided I would dedicate a sizeable chunk of my weekend to combing through this hatchet job and highlighting the inaccuracies and outright lies contained within it. You can imagine my relief then, when I discovered that Asra Nomani had already taken on the task and done a far better job than I could have hoped to. She has managed to highlight so many errors within the piece that it necessitated 11 pages. You may also remember Asra for her testicular reduction skills during a confrontation with the odious Nathan Lean. The allegation of being “anti-Islam” Muslims is a very serious charge. In fact, it is a death sentence among extremists, just look to the assassinations of the Charlie Hebdo staff as an example, not to mention the fatwa against author Salman Rushdie. What evidence does Vox have that Tawfiq Hamid, Irshad Manji, Zuhdi Jasser and Qanta Ahmed are “anti-Muslim”? I am NOT “anti-Muslim.” I am against extremist ideologies of Islam, which do NOT represent all of Islam. Vox is obligated to provide evidence that I am “anti-Islam.” I unequivocally deny this spurious charge. Vox has made an irresponsible claim that is not substantiated in the article. This is part of a growing trend of smearing liberal Muslims as ‘extremists’ or being ‘anti-Islam’. I can’t help but feel this is motivated by a great sense of insecurity brought on by the ever increasing support for Islamic reform. Those pushing their conservative, Islamic narratives know their days are numbered. Will VOX do the decent thing and offer an apology and retraction? I very much doubt it. That kind of thing doesn’t tend to draw in the traffic. In the meantime, I would encourage you to contact VOX’s editor, Ezra Klein and demand higher standards, accountability and a retraction. The penalty for a Muslim who is ‘anti-Islam’ is to be the kindling that lights the fires of hell. ‘Munafiq’ they’re called. Theologically, I suppose, worse than infidels and apostates. That’s how serious these charges are. The sheer dedication and effort the Islamophobia victimhood lobby has put into smearing and endangering people who dare touch on the topic of problems with Islam is truly sickening and dispiriting. These are the same people who endlessly drone about ‘Islamophobia’ (often putting narrative before fact like Hicks) and complain all the time about people allegedly stirring hate. Yet they themselves are stirring hatred of people like Ayaan, and more often than not doing so by total distortions, smear and hyperbole. You correctly pointed out a while back on Twitter that none of these people complaining all the time about being victims all the time actually facing very real and credible death threats and require high security everywhere they go. It’s people like Ayaan or anyone who speaks out on these topics who are sadly are victims of real credible danger and constant hate and smear. Also what the Islamophobia lobby still fails to understand is that this will backfire. People like Irshad Manji are liberal voices. As Sam Harris always points out, by shutting those voices down with a dedicated stream of vicious smear, they are just empowering demagogues with more truly bigoted views who will have thick enough skins to deal with this and would likely take far harder more authoritarian policy stances, which would be a lose for all of us. “I’d rather wait on the facts than blow a trumpet in a concerto of uniformed noise.” What a nicely turned phrase. What’s to be done about all this uninformed noise though? You were ready to devote a weekend to this one piece, and judging from the extent of Asra’s critique, she spent a lot of time on it too. This is necessary, but expensive in terms of time and energy, so we need to find a less costly way of stemming the flow of misinformation and smears. I think the best strategy is to put pressure on editors and publishers to tighten up their editorial policies and controls. Lol contact VOX and ask for a retraction. This is internet generation media Stephen. It’s not about facts at all. It’s about getting attention, that’s all.